The parents of a four-month-old boy killed by a dog at a house in Essex have paid tribute to their "beautiful little angel". Archie Joe Darby died after being attacked by a Staffordshire bull terrier-type dog in Colchester on Thursday. Police said his 22-month-old brother, Daniel-Jay Darby was also bitten and has been left with "life-changing injuries". In a statement the boys' parents said: "Our beautiful sons Archie Joe Darby and Daniel-Jay Darby are so, so loved by us all and were such happy little loveable boys. 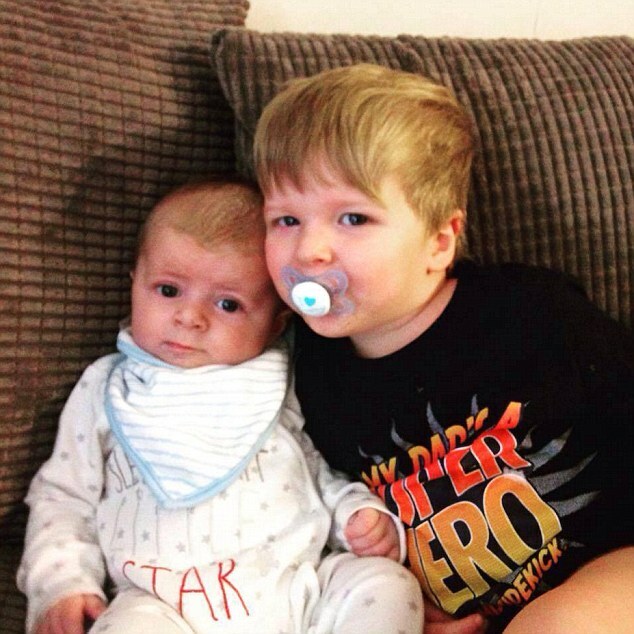 "It doesn't seem real that our little Archie Bum has gone to heaven and our little Daniel is in intensive care because of a tragic, tragic incident involving a dog attack. "We have lost our gorgeous little four-month-old baby and our beautiful 22-month-old boy is currently being treated for his injuries. "Heaven has gained a beautiful little angel and he will be greatly missed by us all and our other little soldier is still fighting strong. "Please, please, please can you all respect our privacy at this time." The attack happened inside a home on Harwich Road at around 3.10pm. The children's mother was also injured and was treated in hospital for minor injuries. Police said the dog was taken away from the house and destroyed with the consent of its owner. Chief Inspector Elliot Judge said: "An investigation to establish the facts surrounding what happened is ongoing. "This is obviously a very difficult time for the family, who are being supported by specially trained officers." Neighbour Scott Mills described the attack as "dreadful and so tragic". He said: "There were a lot of children about because of the time - a lot of children were coming home from school." Another neighbour, who did not want to be named, said: "I am very upset about it all. "My children saw it (the aftermath) and are very upset. "We suddenly saw police cars at the house and the fact that it was two children is very upsetting. The little baby couldn't have done anything. It's just so sad. "I didn't know the family well but you look out of the window and recognise your neighbours. I just can't believe it." A post-mortem examination is expected to take place next week. Colchester MP Will Quince expressed his sorrow at the attack. "So sad to hear of the death of a baby in a dog attack in Colchester," he tweeted. "My thoughts and prayers are with his brother now at Colchester Hospital." In August, three-year-old Dexter Neal died after being bitten by a dog near his home in Halstead in Essex. Days earlier, 52-year-old David Ellam was killed by a dog which had been returned to its owner despite concerns it was dangerous.